Debt.com teaches you everything you need to know to achieve the best credit score possible. Your credit score might just be the most important number in your financial portfolio. Good credit is essential to get the right loans and credit cards at the lowest interest rates possible. And bad credit leads to higher costs and higher risk when you borrow. So, it’s in your best interest to maintain the highest credit score possible. But to do that, you really need to understand how credit scores work and what can increase or decrease your score. This guide is designed to teach you everything you need to know to achieve and maintain the best score possible. Perfect credit is rare, but it is achievable with the right strategy. If you still have questions, visit our Ask the Expert section to get the information you need from Debt.com’s panel of experts. 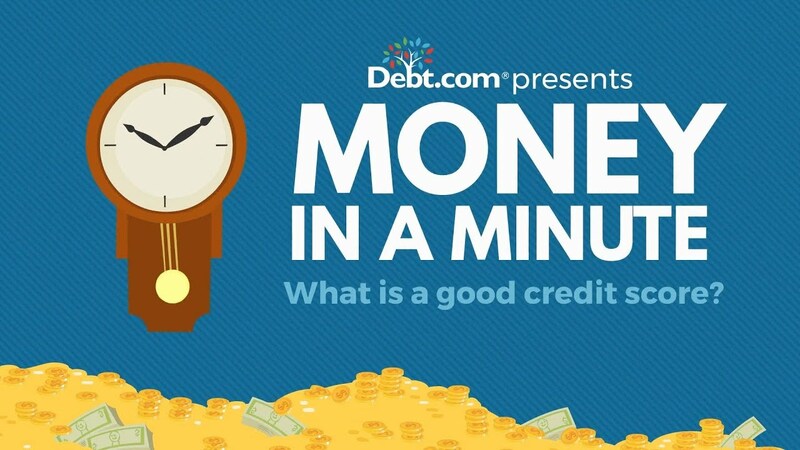 Money in a minute, what is a good credit score? The problem with credit scores is that they don’t work like other rankings in our life. We know an A+ is good, we know what 100% means, but is 700 a good credit score? If it goes up to 750, how much better is that, really? Well, the first thing to know is credit scores don’t go from 1 to 100. They go from 300 to 850. A score under 579 is poor. A score above 679 is good, if you are above 800, that is excellent. The higher your score, the lower your interest rate on loans you can apply for. Why? Because a high score means you have a good track record of paying off your debts. Exactly one-third of Americans have a score that’s either poor or fair. But like studying for a test to raise your grades, there are ways to raise your credit score. Debt.com will give you the study guide for free, check us out. What credit score do I need to...? How do you know which credit score your lenders will use? At a basic level, credit scores are a way for lenders and creditors to measure the financial risk of borrowers. A credit score is a three-digit number that tells a lender how likely you are to repay a debt (or how likely you are to default). In other words, your score determines your creditworthiness. A low credit score means you are a high-risk borrower that’s had some challenges with debt in the past. A high credit score shows you are a responsible borrower that is likely to repay a debt on time. So, credit scores make it easier for lenders to make financing decisions when you apply for a loan or credit card. Lenders often have a minimum score that you must meet or exceed to qualify for credit. Are you feeling stuck with a 600-something credit score? Here’s a way to get a boost without opening a new credit card. It’s important to note in defining credit scores that scores and reports are not the same things. A credit report is a complete profile of your history as a credit user. Credit scores are calculated using the information contained in your credit report. So, while the two are interconnected, they are entirely separate tools. This is also important because scoring changes depending on which report the scorer uses to calculate your credit score. In reality, every consumer can have more than one FICO score. There’s the FICO score based on your TransUnion report, the one based on your Experian report and one based on your Equifax report. If those reports all say the same thing, then your FICO score would be the same in all three cases. But if the reports differ, you might have different FICO scores, as well. It’s worth mentioning that VantageScore doesn’t have this same challenge. Since the credit bureaus coordinated to make VantageScore, it pulls information from a tri-merge report. In other words, it uses the information from all three reports to calculate one single score. FICO and VantageScore are not the only scores that exist today. The credit bureaus still have their private scoring models. These scoring models are still used on a limited basis by the bureaus themselves and by a few lenders. 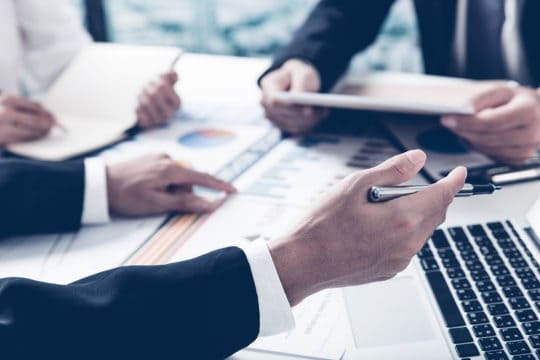 Some lenders may also use their own customized scoring models that are based on the needs of their customers and what type of lending they do. There is also a score that affects your premiums and deductibles on insurance. It’s called a credit-based insurance score. Basically, insurers give drivers a score based on a variety of different factors that determines how much you pay. Credit report and scoring information are included in this credit-based insurance score. That means a bad credit score not only affects rates you pay on loans and credit cards. It can also lead to higher insurance costs, too. There are several ways to check your credit score. First, it’s important to understand that unlike free annual credit reports, there’s no federal law that guarantees consumers the right to check their credit score for free. And when you use the free annual credit report check protected by the Fair Credit Reporting Act, it will never include your credit score. Still, although free credit score checks are not a federally protected right, there are still several ways that you can check your credit for free. There are free credit monitoring services like Credit Karma and Credit Sesame. They never charge consumers for checking their score. Instead, they make money by showing you credit card offers that you can qualify to receive based on your score. Many paid credit monitoring services offer a free score along with a month of free monitoring. However, they often require you to enter your credit card information when you sign up. If you don’t cancel before the end of the month, they charge you automatically. Some credit card companies offer free credit score tracking if you have a card with them. For example, Capital One offers the CreditWise that tracks your VantageScore, while Discover Card offers free FICO score tracking to customers. Some bank accounts also come with free credit monitoring. Check with your financial institution to see if they have free monitoring services. Most major banks offer credit monitoring, but it may only be free for some accounts (usually the premium accounts that require big money). You can also pay to check your credit score. Paid services can be useful because they tend to come with extra features and tools that free services don’t offer. This includes added fraud protection against identity theft, such as ID theft insurance, as well as tools like scoring simulators that estimate what would happen to your score if you took certain actions. Most independent paid credit monitoring services also use VantageScore, including Debt.com’s Identity Theft Protection Tool. Sign up for a free 30-day trial of Debt.com’s 3-bureau credit monitoring tool with VantageScore tracking. As you can see, there’s no shortage of ways to track changes in your credit score. Paid services are often the best option if you can afford it because things like ID theft insurance can be extremely beneficial if you ever need them. However, if you don’t have the funds to get a paid service, it’s definitely worth your time to find a free one. First check with your bank or credit union, as well as any credit card accounts you have to see if you can access a free service. If not, go for a really free service like Credit Karma or Credit Sesame. Avoid services that offer a month free and then charge you. Credit history is the single biggest factor that impacts your credit. Creditors and lenders generally report payments to the credit bureaus every 30 days. So, a payment missed by a few days shouldn’t affect your score, but one missed by 30 days or more will. Creditors report payments missed by 30, 60, 90, 120, 150 and 180 days past due. Then the account would be closed and charged off. According to Equifax, just one missed payment missed by 30 days can drop your score by 90 to 110 points. This makes keeping up with payments the most crucial thing you can do to boost your score. It makes creditors nervous when you start hitting the limits on all your accounts. It’s a sign that you’re having trouble managing your debt. So, creditors look at credit utilization ratio to see if you’re managing debt effectively. Anything above 30% is bad for your score and lower is always better. You also take a big hit here if you go over your credit limit on just one account. If the creditor reports the overage to the credit bureau, it can hurt your score by as much as 25 to 45 points. But on the flipside, decreasing your balances can quickly raise your score. It’s also worth noting that increasing your total available credit limit can also improve your score. If you increase the amount of available credit you have, then your ratio will decrease because you’re using a smaller percentage of the total. Still, it’s not recommended to take on new credit just for the sake of fixing your ratio. The theory behind why creditors want to know your credit age is because someone with more experience using credit is less likely to have problems managing debt. So, creditors look at how many accounts that you’ve maintained in good standing, and how long you’ve had those accounts. This makes maintaining your oldest credit lines a crucial part of keeping a high credit score. You never want to let your oldest accounts close, especially if you’ve kept up with the payments. Be aware that a credit card company may close your account if you don’t use it. So, find a good use for keeping these accounts open, so you don’t accidentally decrease your credit age. There are two types of credit inquiries – called hard and soft pulls. Hard pulls happen when you apply for a new loan or credit card. Everything else – employer credit checks, checks for pre-approved offers and your own checks – are soft pulls. Soft pulls have no impact on your credit score. By contrast, hard credit inquiries can negatively affect your score if you have too many applications within a six-month period. Hard pulls stay on your credit report for 2 years, but they only affect your score for six months. So, you want to space out new credit applications to avoid decreasing your score. The reason why new applications matter is because creditors want to make sure you can manage the debt you have. If you take on too much new debt at once, that can be tough to manage. So, a lender is less likely to extend you a loan if you’ve opened three credit cards in the past few months. This is the smallest and one of the most mysterious factors because there are no concrete rules for what’s good and what’s bad for your score. Basically, creditors want to see that you have experience managing different types of debt. A diverse portfolio means that you’re well-versed in paying off different types of loans, as well as credit cards. If you’ve only had loans or only had credit cards, this can be a red flag to lenders. So, you always want your credit report to show a healthy mix of different types of debts. You want good debts and bad debts, all maintained in good standing. A brief history of credit scores in the U.S. Prior to the invention of the first credit scoring model by Fair Issac & Company, lending decisions were highly personal. Consumers would go into a local bank and then had the arduous task of convincing a loan officer that they would repay the money on time. This meant that loan officers held all the control and loan approval basically came down to a case by case basis. Then in 1956, statisticians William Fair and Earl Issac founded their company. They started exploring how past consumer behaviors correlated with the likelihood that a consumer would repay a new debt. From their research, they created the first credit scoring model – the FICO credit score. FICO scores didn’t become widely used until 1989 when FICO began calculating scores based on credit reporting information from the three bureaus. However, the three bureaus weren’t exactly keen on FICO. So, they all created their own private scoring models in the hopes they could compete against FICO. But most lenders and creditors still relied on FICO instead of the other scoring models. In fact, FICO scores are still used in 90% of lending decisions. In 2006, the three credit bureaus decided to stop competing against each other and focus on competing against FICO. They created the VantageScore together. They’ve updated the model several times, and the newest version – VantageScore 4.0 is a scoring model that uses the same range as FICO (300-850). Today, VantageScore is widely used by many credit monitoring services when you want to track your credit score. However, FICO is still used in 90% of lending decisions. Which of the following most influences your credit score? Credit history is the single biggest factor that influences your score. So, missed payments that negatively affect your credit history hit your score the hardest. Although collections affect your credit history, the credit bureaus have deemphasized medical debt collections versus other types of collection accounts..
What credit score do I need to…? The credit score you need to buy a house depends on what type of mortgage you wish to use. If you want to get a traditional fixed-rate mortgage, then you generally need to have a FICO score of at least 620. The score requirement for an adjustable-rate mortgage is lower; you generally need a 600 FICO score or higher. If you are a first-time homebuyer and you plan on using an FHA loan, then score requirements are even more flexible. Some FHA lenders will work with you even if your score is as low as 560. That’s because the loan is backed by the Federal Housing Authority, so there is less risk for the lender. If you default, the FHA covers the loan. It’s worth noting, however, that you should always aim to have the highest score possible before applying for a big loan like a mortgage. Even just 0.25% difference in your mortgage interest rate can come out to tens of thousands of dollars extra in the total cost of your loan. It’s often worth a little time to build your credit before you apply for a mortgage. That also gives you time to save up for a larger down payment. What credit is needed to buy a car? As we mentioned earlier, subprime lending in the auto loan industry is more prevalent than you might think. So prevalent, in fact, that experts – including Debt.com’s own Howard Dvorkin – have been debating for several years if the auto industry will be ground zero of the next financial crash. But for now, the good news is that auto loans are accessible, even for borrowers with bad credit. So, as long as you make sure you can afford the loan and won’t be risking default, you can get financed even if your score is below 500. In fact, 4% of auto loans last year went. Just be aware that interest rates climb as your score drops. A borrower with bad credit can expect to pay five times as much for a new car. And don’t think that you can just buy used to get a better deal. Interest rates on used cars are higher than new. Experian published a list of average auto loan interest rates by credit score for new and used cars. There are also those credit-based insurance scores. In most states, you pay more for car insurance if you have bad credit. So, the cost of buying, owning and even leasing a car is more expensive if you have bad credit. There have been some welcome changes to credit reporting recently that have positively impacted many consumers’ scores. But this is huge for individuals and families that have seen their scores ruined by high medical costs. One collection account could negatively affect your score by 50 to 100 points. So, if the only thing wrong with your credit score is medical collections, then chances are high you can get financed. You just need to find a lender that uses checks the most recent FICO or VantageScore. On April 16 of 2018, the credit bureaus announced that tax liens would no longer be listed on consumer credit reports. If it’s not listed on your report, it can’t affect your credit score. This is good news because a lien could affect your score by as much as 30 points. In October, Experian and FICO, along with Finicity announced a new scoring model called the UltraFICO™ Score. This new model is intended to help consumers with low traditional credit scores qualify using a new model that takes financial management activity into account. Basically, if you can’t qualify using a traditional FICO, you can ask your lender to use UltraFICO. This will look at account data on any checking and savings accounts you wish to include. So, your banking history can be used to bolster your credit history, giving you a higher score. The pilot program is not set to launch until 2019. A handful of lenders and financial institutions will test run UltraFICO before it’s rolled out everywhere. Debt.com’s Founder Howard Dvorkin weighed in on why he thinks this new UltraFICO score will be good for consumers. He also warns against a key risk that’s inherent to getting financing when you already have a low credit score. This means that just because a new scoring model would benefit you, it doesn’t mean that’s the scoring model that your lender will check. Most lenders are currently using FICO 8 or VantageScore 3.0, even though there is a FICO 9 and VantageScore 4.0. So, for example, most borrowers aren’t yet reaping the benefits of medical collections being removed from new scoring models. The easiest way to know which score your lender will check is to ask before you apply for the loan. You want to ask before you authorize a credit check, since each hard pull credit check creates a hard inquiry on your credit report. Too many of these inquiries can drag down your score. So, asking ahead of time avoids unnecessary pulls. If you know your score is low, you can even ask your lender if there’s a way that they will take bank accounting information into account. Even before the UltraFICO rollout next year, some lenders are already considering banking history to help subprime consumers. Once FICO rolls out this new model, you’ll hopefully see more lenders take this up next year. Until then, however, you still need to take steps to improve your credit score. That way, you can qualify under traditional scoring models, even the older ones. It’s the best way to ensure you get the loans and credit cards you want, regardless of which scoring model the lender checks. Try 3-bureau credit monitoring with VantageScore 3.0 credit score tracking free for 30 days with Debt.com’s Identity Theft Protection Tool. Monitor your score and protect against ID theft all with one handy tool! Article last modified on April 11, 2019. Published by Debt.com, LLC .